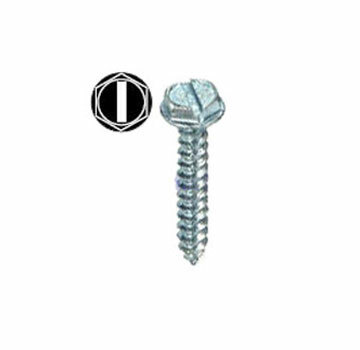 PRODUCT: #8 X 1-1/2" Sheet Metal Screw, Hex Washer Head drive, Sharp Point, Galvanized Finish. Price/100. APPLICATIONS: Designed for general sheet metal work. Sharp point provides fast penetration. Recommended drive speed 2500 RPM.